Or submit more details. We reply in a few minutes. If you contact us today our experienced team of property purchasing professionals will be able provide you with an accurate offer subject to inspection over the phone. One of our market leading offers allows you to sell your house fast without giving a discount. Many say that this is the fairest deal around. Terms & Conditions do apply. The amount that we agree to pay at the formal offer stage is the amount you will receive. These costs include the RICS surveyor fees, solicitor fees and any other associated costs. The market value for your home is always determined by an independent RICS surveyor. We believe we are one of the fairest and most ethical house buyers around. of people who contacted us got a better offer than from other similar companies. We currently have 6 different methods available to buy your house so you can choose the most convenient one. All valuations are carried out by an independent RICS surveyor. Fair & transparent. We believe you have come to the right place. At Direct House Buyer we have allowed home owners across the UK to sell their house quickly and at the same time receive what is probably the fairest offer around. Speak to our experienced Team today and with a variety of solutions available you choose the offer that best suits your timescale. We will then arrange to visit your property and inspect your house in as quick as 48 hours. 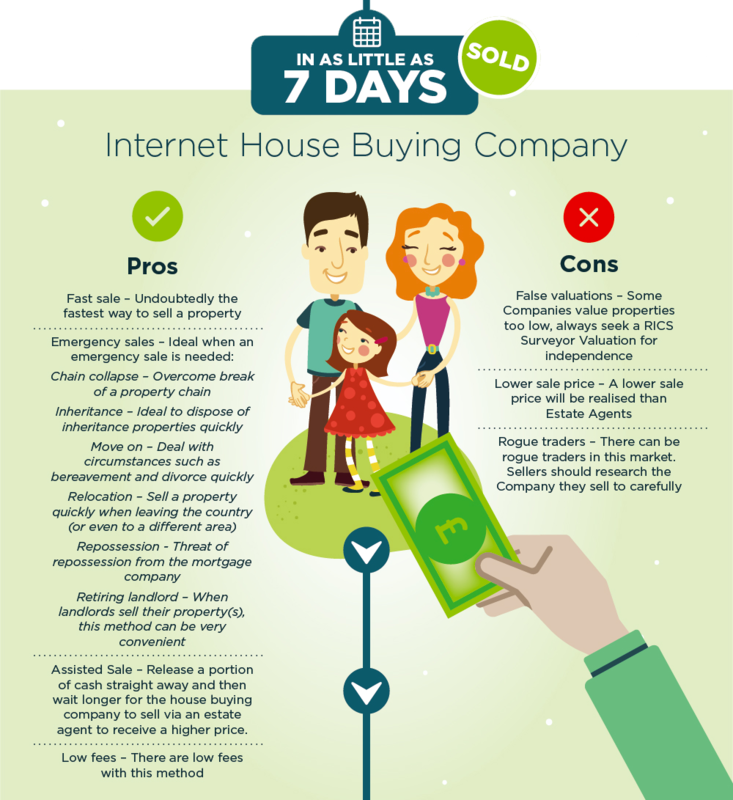 After this if you decide to say "yes, buy my house" we will endeavour to complete the purchase in a far quicker time than if you were to sell to a traditional house buyer. Questions? Call us now at 0150 559 5000 to talk with a Direct House Buyer specialist. Your property location – Off course you can’t physically change the location of your house and if you feel that it’s the location of your property that may be making it difficult to sell then that may not be a problem for us. Our team of house buyers are experienced in purchasing property throughout the UK and we will always endeavour to make a fair offer even for the most rural locations. Our we buy any house service means that we endeavor to buy any house throughout England, Scotland and Wales. We are able to consider problem properties that for various reasons can't be sold through an ordinary house sale e.g. your property may require structural works before it can become mortgage-able again and therefore requires a cash buyer. If your in a sticky situation that needs specialist attention then it's worth speaking to our specialist to see how we can help. What’s your Timescale – When speaking to us one of our first questions will be how quickly do you need to sell. If you require a particularly fast sale then we will endeavour to offer a quick cash purchase using our own cash fund and complete in the timescale that you require. However, if you do have a bit more spare time on your hands then we will be able to make you a more competitive offer that’s closer to the full market value of your home. If you wish to sell your house fast for its full market value then please ask one of our advisors about the assisted sale product. Most of our competitors solely offer a straight cash sale which can often be very fast in terms of timescale but may also not be so favourable in terms of the agreed sale price. Therefore, if you do have a bit more time on your hands and are able to give us a few months to fully complete the sale then we will be able buy your house fast for an amount that’s far closer to the market value. Essentially our assisted sale product is an exchange with a delayed completion, we will also provide you with an initial cash sum that will allow you to move on, in return you will give us a few months to fully complete the sale of your property and after this timeframe you will receive the full pre-agreed remaining balance. Do You need all the Cash Right Now? Different to many of our competitors who may just be able to offer a straight cash sale we also have a variety of other options available. For example, our Assisted Sale is a popular choice and allows us a bit more time to achieve a great price for your home. Different to your traditional estate agent we cover all fees and costs, we will agree a date of exchange (usually within a couple of weeks) and a guaranteed purchase price. On the day of exchange we will provide you with a upfront portion of the cash from the agreed purchase price and we will take over all the running costs of your home. We will then continue to sell your property on the open market, which allows us to achieve as much for your house as possible. Once your property is sold you will receive the remainder of the agreed price. If we can’t sell your property on the open market within our agreed timescale (usually within a few months) then we will fully purchase the property ourselves at the pre-agreed price using our Cash Fund. There are other favourable options available, so please take the time to contact our purchasing team today. At Direct House Buyer we wish to provide our sellers with a offer that’s as near to the 100% market value as possible. For that reason it’s important to take care with any price reductions you make so that you don’t unwittingly affect the true value of your home. It’s difficult to imagine that your house value could be affected through your own actions but it can. 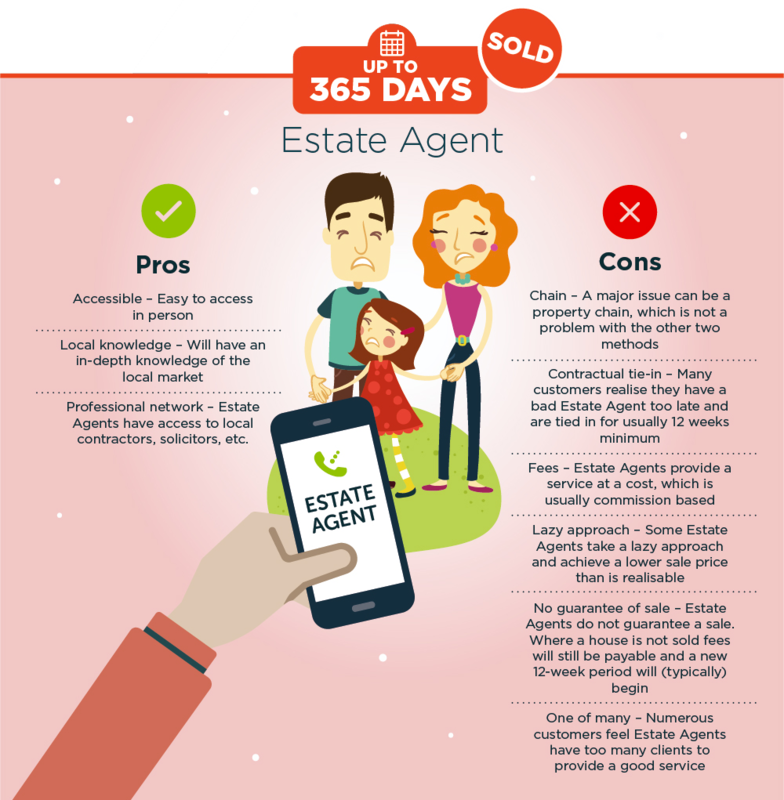 Usually by the time our customers contact us their properties have been on the market for longer than they initially anticipated and quite often they would have already reduced their asking price. This is usually through the suggestion from their estate agent who realistically has little power to attract new buyers. 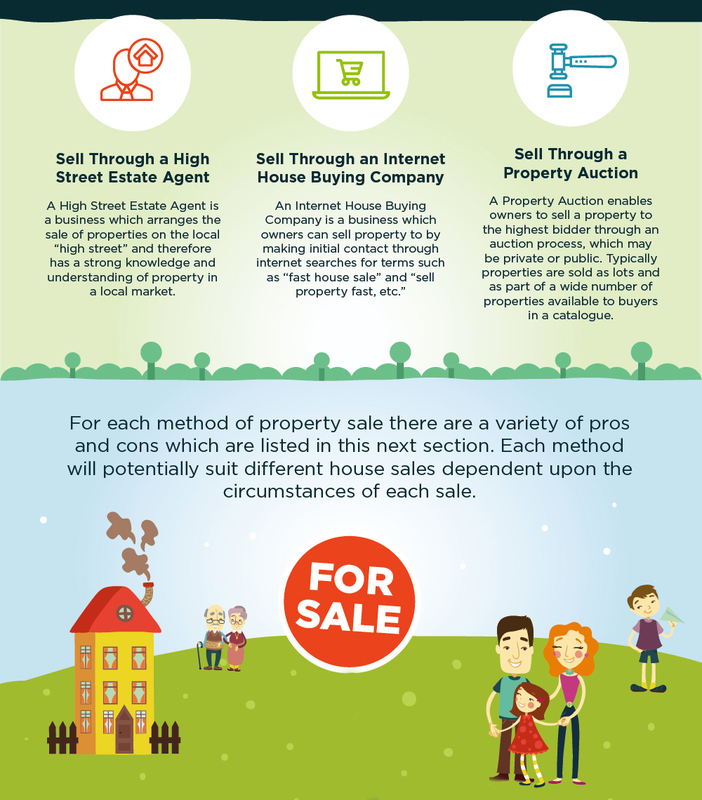 They ultimately want to sell your home and don’t always have the sellers best interests at heart. If you express to your agent that you wish to sell your house quickly and in turn they suggest that you reduce your asking price they probably won’t caution you that this will in effect lower the market value of your house. In practice it’s a surveyors job to determine the market value for your home and even if the surveyor truly believes that your house is worth more than what you are asking, unfortunately they can’t value your house at a higher price than what is advertised and in their opinion it’s current price is the market value. At the same time even if you take the house off the market or put the price back up it’s the surveyors job to check Rightmove Plus which shows a historical database of listed prices and once again they won’t value your home any higher than the lowest price it was recently advertised at. 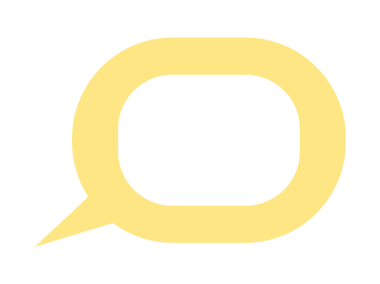 The same applies to a mortgage lender, they wouldn’t wish to pay more for a house now than if they could have bought at cheaper price and limited their exposure a few weeks back, they would establish the previous listed price as the current market value particularly if it didn’t sell at that lower price. Here at Direct House Buyer we want to give you as high a offer as possible so that you will be happy to sell to us and happy with the price you achieve. All our offers are based upon your homes current market value so please contact us first. Contact us for a fast house sale that suits your need to sell your property in a hassle free way. Speak to one of our advisors to discuss a straight cash sale. This type of transaction can complete very quickly and to a timescale that suits your situation. Similar to other industry leaders our cash offer will not be as close to the market value as some of our other options that are available. Typically, cash offers are usually around the same mark throughout the industry, however we will always endeavour to provide a better quote than others can even for our cash offer deal. If you don’t necessarily need to complete within a couple of weeks and have more time on your hands then we have other options available such as an assisted sale which has a pre agreed price, exchange and then a slightly delayed completion (typically 3 months) which will result in you receiving a higher price much closer to the market value of your property. The Rightmove House Price Index is the most common resource used for finding out the average UK house price which currently stands at £302,002 this is currently up £1,287 since the previous month. 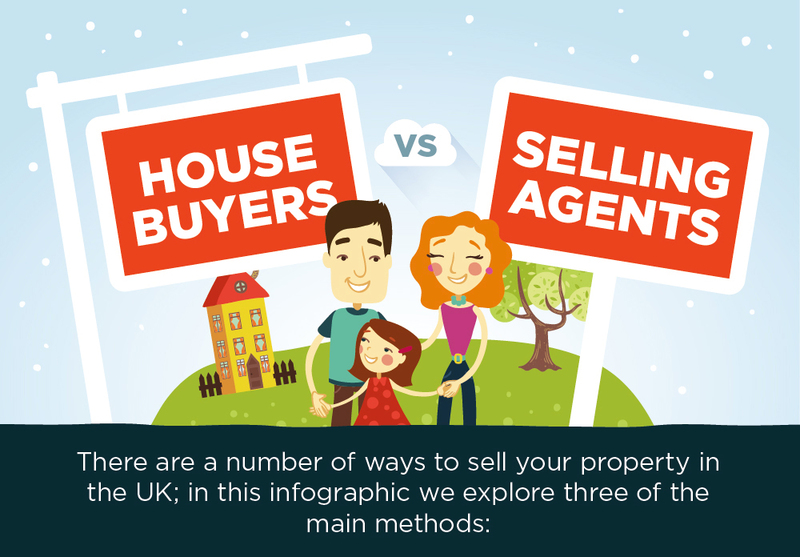 As someone who is wishng to sell their house fast it’s also a helpful resource for finding out how quickly properties are selling in your region and is a good indication of the current sentiment in your local market. These figures are updated monthly and a summary of the fastest moving regions through to the slowest can be seen in the table below. The recent figures show that Scotland is now the fastest moving region taking an average of 55 days, this is significantly quicker than the previous months figures where it had taken 66 days to sell a home. In fact most regions have achieved quicker property sales from the previous month, notably Greater London is still one of the slowest moving markets. Scottish Highlands show a big increase in sales Historically a difficult market to buy and sell property this article reports a 56% increase in sales and also a 57% increase in registered buyers. As can be seen Scotland currently has the fastest moving property market typically taking 55 days on average. Leicester and Manchester show the highest price growth This article shows house price growth for many major towns since the Brexit uncertainty started in 2016. The article highlights that Leicester has experienced the highest increase of 17.2%. On the other end of the scale prices in Aberdeen have dropped 9.2%. Tips on how to sell faster and increase the price This article includes a good round up of improvements that you can make in order to attract buyers and increase the value of your home. -The property is unmortgageable and this could be for a variety of different reasons Your home may have a short lease that can’t be renewed or the property may be of a non standard construction i.e. a cabin or mobile home. The Location – At Direct House Buyer we can buy houses all across the UK whether it’s a busy city location or of the most rural of properties. Certain restrictions apply to what type of deals we can offer in Scotland and unfortunately we can’t purchase homes in Northern Ireland. We get many enquiries from Landlords who are looking to sell some of their portfolio for a variety of different reasons, Often landlords ask if they can sell a tenanted property and the answer is Yes. We are able to buy properties that are tenanted but the terms of the tenancy must be fair and at the market rate. If you are a Landlord who is wishing to free up some cash or even just tired of your landlord duties and finally wish to sell up, then please contact one of our advisors today to discuss your specific requirements. At Direct House Buyer you sell your property directly to us. Our head office uses it’s own cash fund to help facilitate straight cash sales, assisted sales and delayed completions. No need to wait for a buyer to walk though your door, you dictate the time that you want to sell and the price you will eventually receive is set in stone, before any transaction begins. The amount that you receive on completion is also free from any fee’s and associated costs as these are covered by ourselves. When speaking to one of our advisors, you will be asked a series of questions regarding your property and based on this and comparable prices in your area our specialist will be able to give you a preliminary price (which is subject to inspection) on the initial phone call conversation. 3) A Solicitor will be instructed that you can choose from our own panel. Or if you wish to instruct your own solicitor then we can contribute towards the fees. 4) We will try our best to meet the pre agreed exchange and completion date. You can even choose to exchange first and delay completion to a timescale that best suits your situation. Royal Institution of Chartered Surveyors RICS As mentioned all market valuations are approved by an independent RICS Surveyor leaving you rest assured that our offer is based on the fair market value for your home. Breaking out of a housing chain helpful information regarding being stuck in a chain, we receive many enquiries from sellers looking for a solution to this problem. 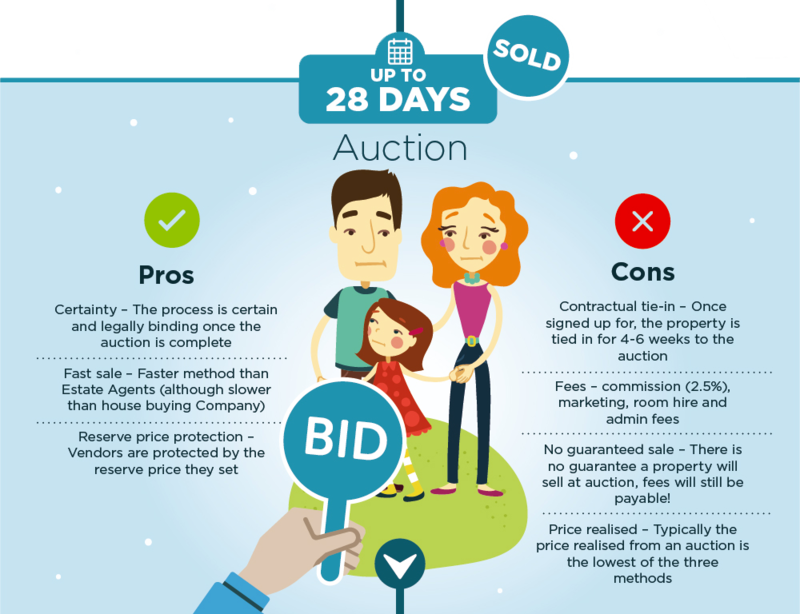 Selling your house yourself a more common trend these days for homeowners to take the process of selling their home into their own hands, here’s a guide full of the pro’s and con’s of doing it yourself and what to look out for. Helpful advice to help you sell your house faster, certain tips in here are a easy fix to help improve the value of your home.